Rutgers–Camden is host to one of the regional competitions for New Jersey History Day. History Day is a national competition which begins at the regional level and then proceeds to the state level. We’ve created this page to provide students, teachers, parents, and judges with information about the competition, parking, directions, food, and associated programming. If you are attending New Jersey History Day at Rutgers-Camden, please click here to find information about parking, food, and more. If you are serving as a judge for New Jersey History Day at Rutgers-Camden, please click here to find information about parking, food, and more. 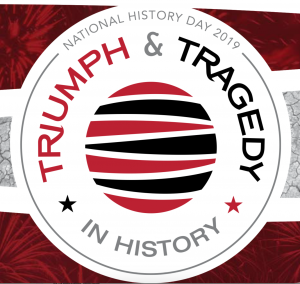 Learn more about National History Day. Get this year’s theme book, resources for teachers and competitors, and much more! Learn more about the New Jersey state competition here. For New Jersey-specific resources compiled by Rutgers-Camden’s Robeson Library, please click here. Page last updated by Department of History at 12:36 pm August 23, 2018 . This page was printed from http://history.camden.rutgers.edu/nhd/ at 5:42 AM Friday, April 26, 2019.